In this four hour workshop, I'll cover some basic techniques and tools. Then, we'll start doodling based on a theme of our choosing. 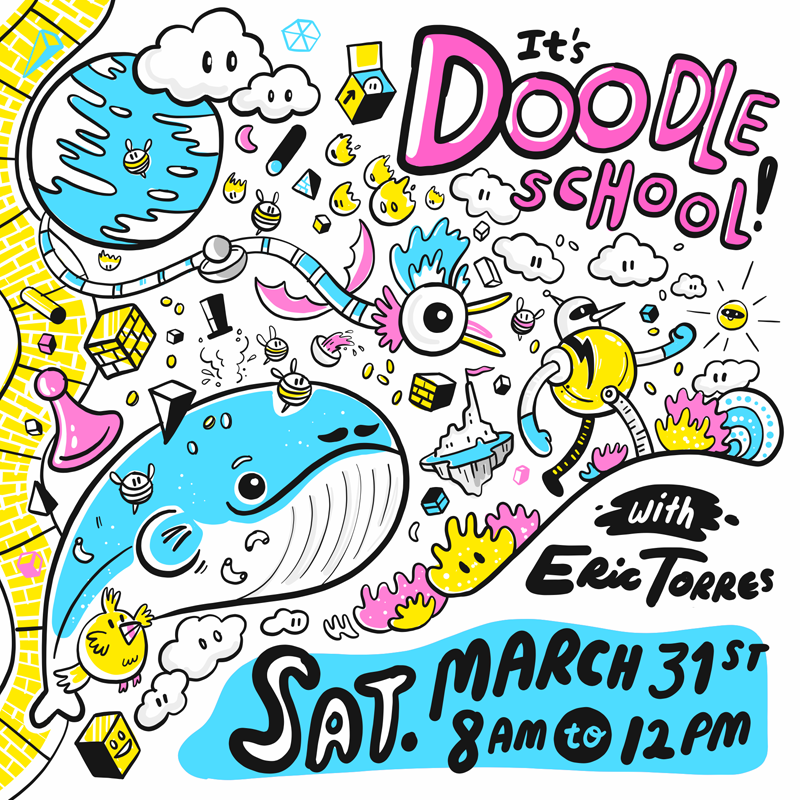 You'll learn how to build your own style and how to use your creations to make things you can share with others. I'll be giving out some resources as well as one-on-one guidance on growing your projects. As far as age requirements go, the concepts are geared more towards young adults and older. I'm planning a class for children in the near future. Feel free to let me know what you'd like to learn, your level of drawing skill, and your favorite drawing method. 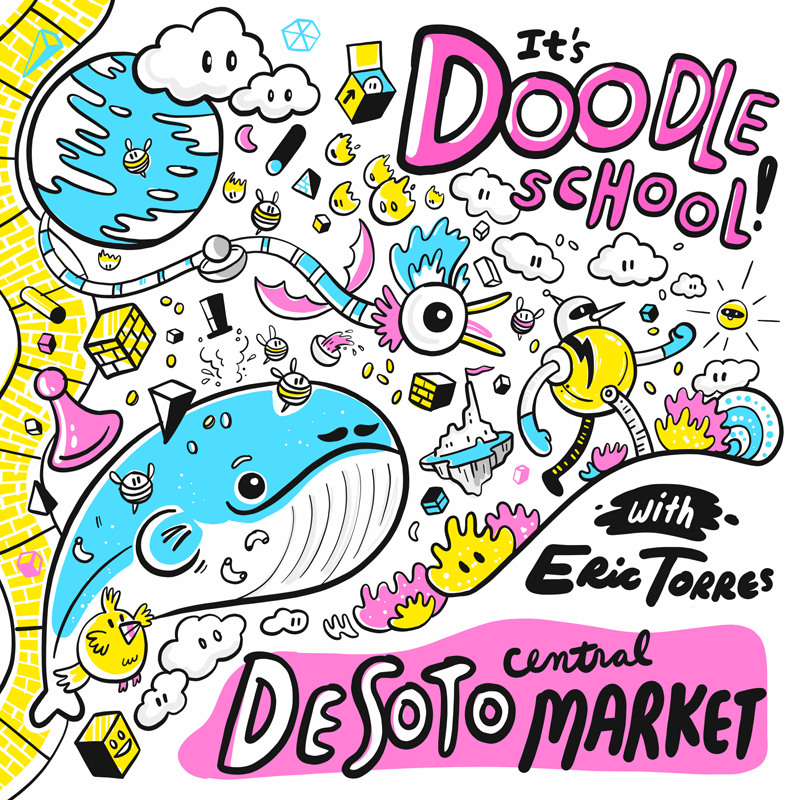 Remember, no experience is needed to take this class, just a desire to draw things! 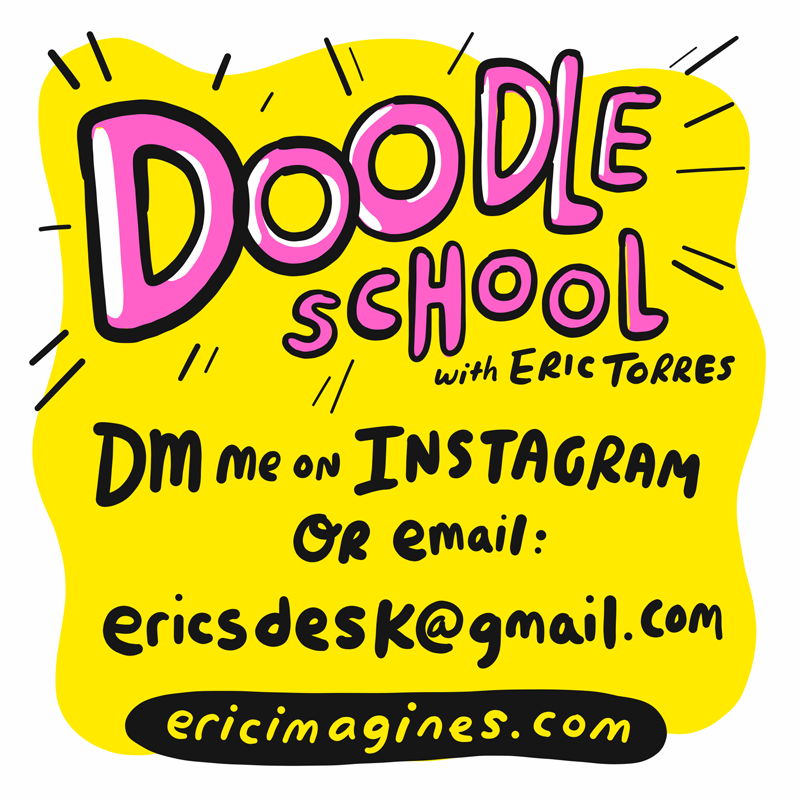 If you're interested in Doodle School, let me know fast! There's only 10 seats available!